For years we have been told to consume brown rice because it ‘contains more nutrients’. However, many different cultures have been consuming white rice for thousands of years: India, Japan, Thailand, Indonesia, Brazil, Philippines, Vietnam, China and many others. Why is white rice so prominent in diets throughout the world if it is not as beneficial as brown rice? Rice has been cultivated for thousands of years (in China alone it dates back 13,500 years) and throughout this time, these different cultures have learnt how to prepare rice correctly to maximise its benefits. Because rice is such a staple in diets around the world, it needs a way to protect itself from predators in order to keep reproducing. To offer some form of defense against these predators, the bran of the grain contains high levels of anti-nutrients like phytic acid and lectin, which hinder the body’s ability to absorb nutrients. Phytic acid in particular has been shown to block absorption of nutrients such as zinc, iron, magnesium, phosphorous and calcium – all nutrients which individuals are commonly deficient in today. However, these anti-nutrients aren’t all evil and some can actually be powerful antioxidants. Problems occur when they are eaten in excess or when one’s gut microbes are out of balance, as they can be very difficult to digest. 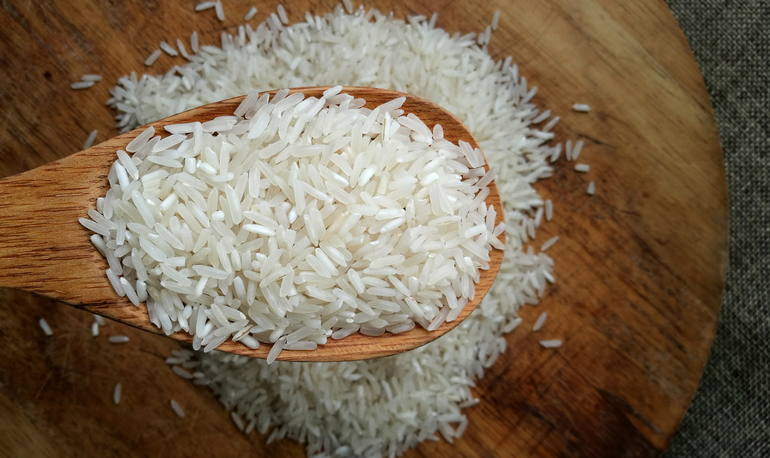 Rinse the white rice under water until the water runs clear to remove much of the starch content. Place the rice in water, ensuring the rice is fully covered. Add a dash of apple cider vinegar and a pinch of salt. Cover tightly, and leave for 6 to 8 hours. Drain out the liquid, and cook as per directions for the type of rice. Once cooked, and if it is tolerated, enjoy just as is. To enhance the resistant starch in the rice (see below), cool in your fridge for 24 hours. Use the rice cool or reheat it thoroughly. Resistant starch is a beneficial property of rice. It passes the small intestine, enters the colon and feeds the microbes that live there. An increase in resistant starch in the rice dramatically lowers the effect it would usually have on your blood sugar levels. It also improves insulin sensitivity, your sleep and your overall gut health. When resistant starch is consumed, it also produces beneficial short chain fatty acids like butyrate, which is like a superfood for your gut lining – it has been shown to reduce gut inflammation and colorectal cancer. Read more about this exciting research here. Cooling the rice in the fridge for up to 24 hours once it is cooked will help it form the most resistant starch. In fact, studies have found that when cooled, the resistant starch increases around 10 times! Reheating the rice after it has been cooled will not destroy the resistant starch that has built up. So, provided it is prepared correctly, white rice can be a beneficial food to include or add back into your regime. Why not use it in our Bacon and Egg ‘Golden’ Fried Rice or our Meat and Rice Rissoles? What experiences have you had with this beneficial food? The physic acid (or phytate) is present in the brown coating. This is also where the majority of the minerals are present. Pre soaking brown rice is even more beneficial than pre soaking white rice which has had this mineral rich layer removed during refining. Too much rinsing may rinse out nutrients also. Wild rice has no gluten and maybe no arsenic and is great tasting. I don’t rinse.